and a little nostalgia found within Re*Pop itself. Those of you who are pondering options as to what to do this upcoming Friday night should give this show consideration. I have seen Ms. Shukwit’s work in person. It’s absolutely stunning. What’s more, wine and refreshments are promised. Check it out! 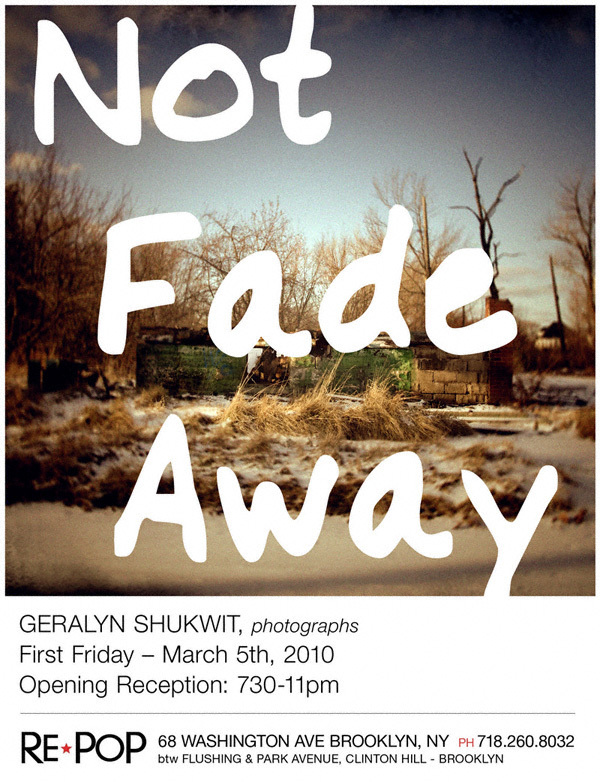 Opening Reception: 7:30 -10:00 p.m.
You can get a sneak peek of what awaits you by clicking here.